Julia Faye Bertelsen, age 76, of Maylene passed away on April 12, 2019. 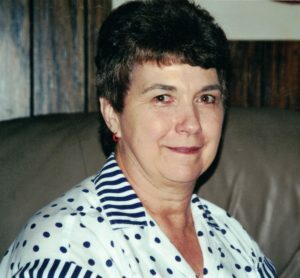 She is preceded in death by her parents, Ethridge Lane Willetts and Dorothy Frances McDowell Willetts; Daughter, Cyndi Bertelsen; her In-laws, Norman M. Bertelsen and Myrtle M. Bertelsen. Julia is survived by her loving husband of 52 years, William Norman Bertelsen; her son, Greg Bertelsen; many brothers, sisters, nieces, nephews and her brother-in-law, Neil Bertelsen; sister-in-law, Marjorie Rowand and their families. There are no services at this time. RIP Julia! You are now in a Better Place.